Like most parents, Danielle Wright knows all too well that telling the kids it’s ‘bedtime’ can give them as much energy as a ‘shot of espresso’. But within 20 minutes Mrs Wright claims she can have her two boys ready for sleep, no matter how hyper they may seem. 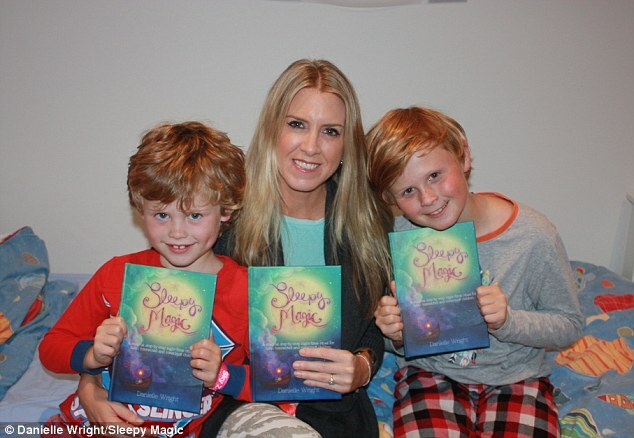 The Sydney resident told Daily Mail Australia she started a simple sleep ritual with her kids that she says is guaranteed to make them nod off, and has shared her five steps to dream-filled nights in her book: Sleepy Magic. 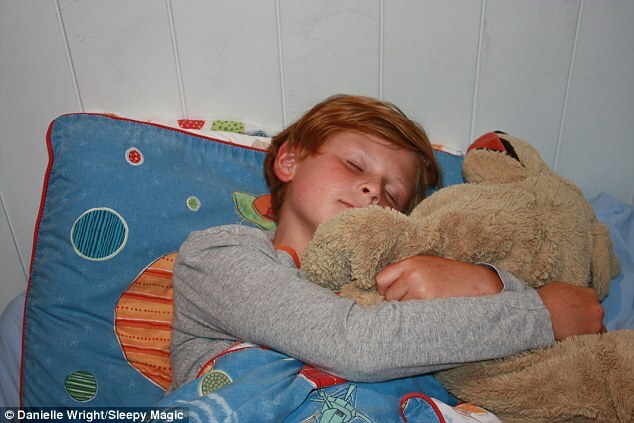 The book is a guide for parents to help combat sleepless nights. Steps include a series of positive affirmations, asking ‘what are you proud of today?’, a breathing exercise, imaginative story and body relaxation. Mrs Wright started the bedtime routine after a ‘mid-life crisis’ saw her leave her stressful career running an advertising agency to find peace through holistic practices. ‘I just wasn’t living the life I wanted to live,’ Mrs Wright, 43, told Daily Mail Australia. ‘I was one of those supermums trying to run my own business, have a family, and run a household. Mrs Wright visited a kinesthesiologist who taught her healing techniques, and she slowly started to shift her life. The benefits were immense, and she started to come up with ways to incorporate the techniques in to her children’s lives. 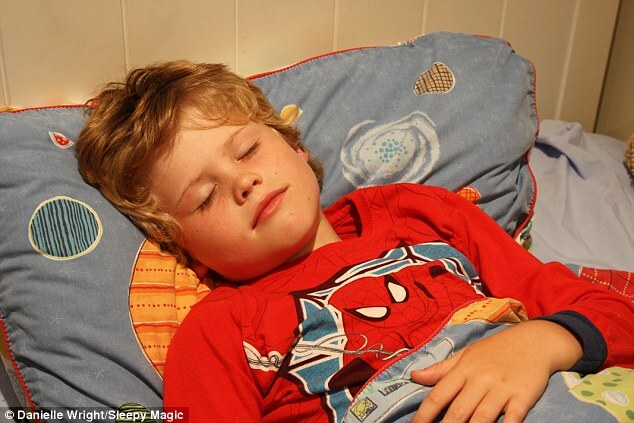 ‘I decided one night to do meditation on my son at bedtime,’ she said. ‘He kept asking for it … and it became a habit. She tried the same technique on her then three-year-old, and the results were the same. The five-step ritual includes an imaginative story or meditation and finished with the closing down of the child’s chakras or energy points. ‘I’m introducing a bit of spirituality to them,’ Mrs Wright said. 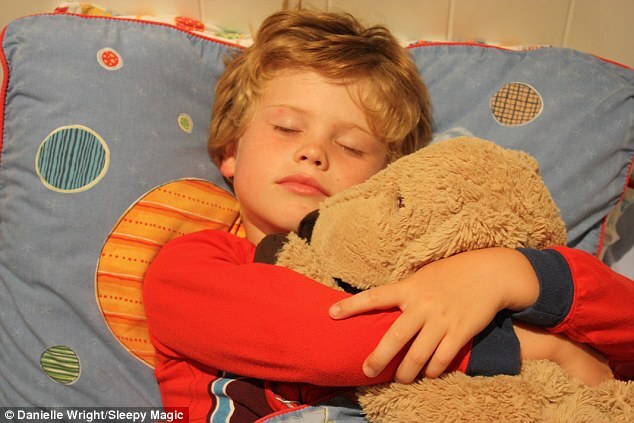 This step is essential for calming and preparing your child for Sleepy Magic and sleep. If they are sitting up, have them lie on their back and put one hand on the bumpy bit on the back of their head and one hand on their forehead. Tell them to close their eyes. Say ‘breathe in’ (now count silently to four). Then say ‘hold’ (and count silently for two). Next say ‘breathe out’ (and count silently for four). Repeat until you notice your child relaxing. It takes nine repetitions. Another step is having a conversation with your children about what they are proud of that day and about 90 seconds of breathing exercises. She said the techniques were aimed at children between three and 10 years old, but they could be used on teenage children who might be feeling stressed. 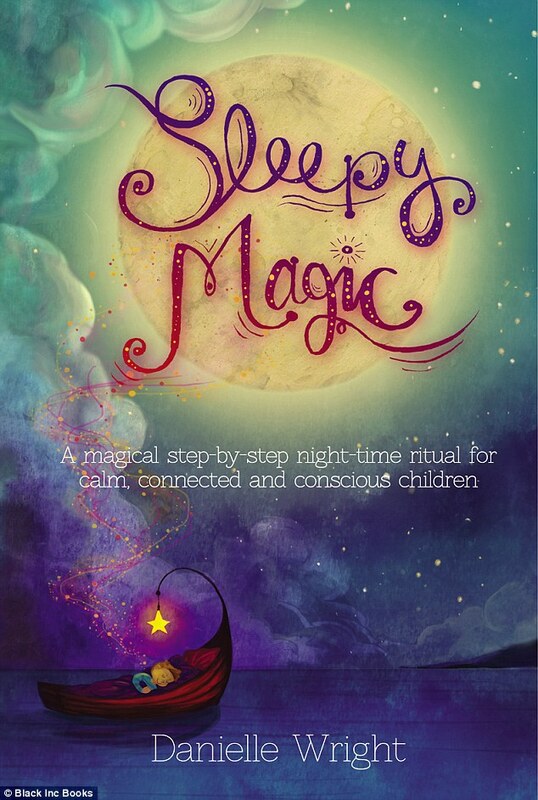 Sleepy Magic is available in major bookstores. 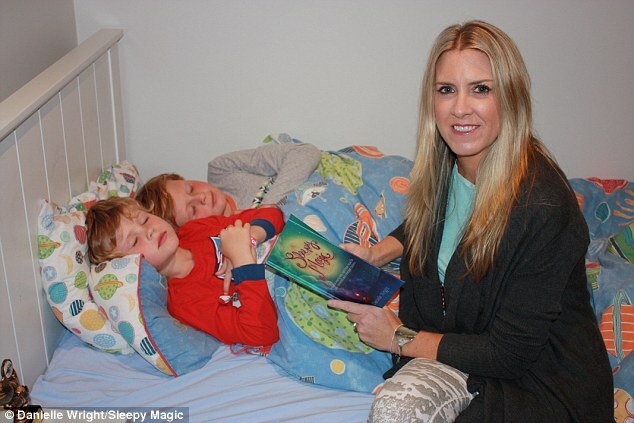 ‘Danielle Wright’s book Sleepy Magic has had a profound impact on my 4 year-old son, in a relatively short period of time. After a couple of weeks of sharing some of the rituals in Sleepy Magic I have seen a dramatic increase in his emotional awareness. His feeling ‘vocabulary’ has grown exponentially and we’ve had some in-depth discussions about various emotions, following some of the affirmations and meditations.